OmegaFi is happy to announce yet another exciting partnership - Delta Tau Delta has chosen OmegaFi’s Compass database for membership record management and membership reporting. 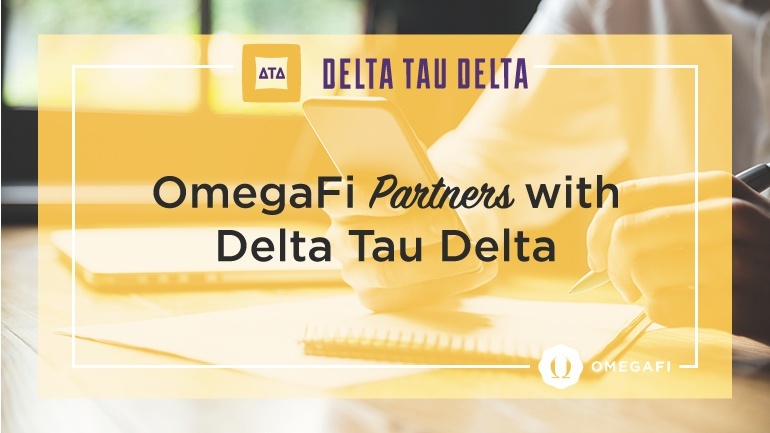 In addition, Delta Tau Delta reinforces its partnership with OmegaFi as their chapter financial management partner. With new efficiencies in the areas of member management and finances, the partnership allows Central Office staff members, volunteers, alumni and students to focus on the growth and prosperity of the organization. While OmegaFi’s Compass database will support operations at the Central Office in Fishers, Indiana, all chapters and Delta Tau Delta members will enjoy added benefits. Chapters will be able to use OmegaFi for local finances at a discounted rate. A time-proven chapter invoicing system will improve the experience for the organization’s student leaders. Combined with OmegaFi’s Vault for chapter and house corporation management, local officers will be positioned to successfully fulfill their duties. At the intersection of FinTech and fraternity, OmegaFi offers a great depth of knowledge and history of innovative solutions for fraternity management. OmegaFi provides financial, recruitment and communication software, payment solutions and support for fraternities and sororities across the United States. OmegaFi’s innovative tools, expertise and customer-centered approach help fraternal chapters, house corporations, headquarters and foundations optimize operational efficiency and increase revenue. Partnering with OmegaFi provides administrative relief and support to allow key officers and staff members time to focus on mission-driven priorities. Launch of the database and members’ portal will begin in the summer of 2018 with planning and mapping. The full conversion will take place in July 2019. Delta Tau Delta is OmegaFi’s 22nd Compass partner, joining, Acacia, Alpha Delta Phi, Alpha Gamma Delta, Alpha Kappa Lambda, Alpha Sigma Phi, Alpha Tau Omega, Alpha Xi Delta, Chi Phi, Delta Chi, FarmHouse, Kappa Alpha Order, Phi Delta Theta, Phi Iota Alpha, Pi Kappa Alpha, Sigma Alpha Epsilon, Sigma Alpha Mu, Sigma Pi, Sigma Tau Gamma, Theta Chi, Theta Xi and Zeta Beta Tau. For any questions regarding the new partnership, please contact Director of Partner Success - Kirby Oscar koscar@omegafi.com.